Flying glass fragments, which may be the result of numerous causes have the potential for producing serious injury and death. Causes are due to terrorist or accidental explosions; violent wind; earthquakes and projectile impacts. Glass has always been a favorite of architects and designers because it takes advantage of views, provides natural light and makes a home or building more livable. But glass has serious drawbacks. When broken by accidents or storms, dangerous glass shards can maim or kill. Additionally, glass is usually the weakest security link in a building. However, there is a solution that can help protect you from the dangers and weaknesses of glass. Safety and security films are available in clear or a variety of solar energy rejecting versions. Safety and security are offered in thicknesses ranging from 4 to 14 mils. Once installed to the inside surface of a window, safety and security film has a powerful adhesive system that bonds tightly to the glass increasing its shatter resistance. An Intruder smashes a window or glass door. Within seconds he is in your home or business. Safety and security film holds broken glass together thwarting the would-be burglar and providing extra time for authorities to respond. Safety and security film also helps prevent "smash and grab" thefts to retail stores. In addition, after a natural disaster like an earthquake or windstorm safety and security film can help hold a broken pane of glass in place discouraging looting. 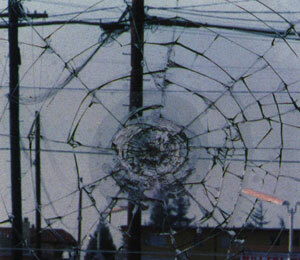 In an earthquake, glass is put under severe stress which can propel broken fragments outside the structure. When broken glass is held together by safety and security film, the threat of damage and injury is reduced and often eliminated. Safety and security film helps glass resist the strain of windstorms and often keeps broken fragments from becoming lethal airborne shards. When this happens, not only is the threat of injury reduced, but damage caused by wind driven water can be minimized and even eliminated if the window is held in place. No one can argue that metal shutters are strong, but safety and security film is a less expensive alternative and certainly more convenient than boarding up windows each time the wind begins to blow. Safety film may be specified in clear or a number of solar energy rejecting versions. Solar safety films provide all the benefits of the clear films with the additional benefits of reduced solar heat, decreased glare and increased energy savings. Both clear and solar safety films reject almost 100% of harmful and damaging ultraviolet.